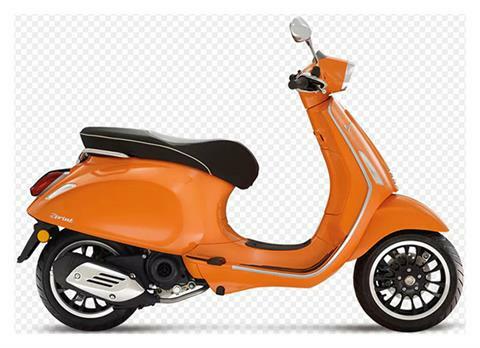 The Vespa 50 with dazzling performance but a “green” conscience: perfect for shooting around town without feeling guilty. 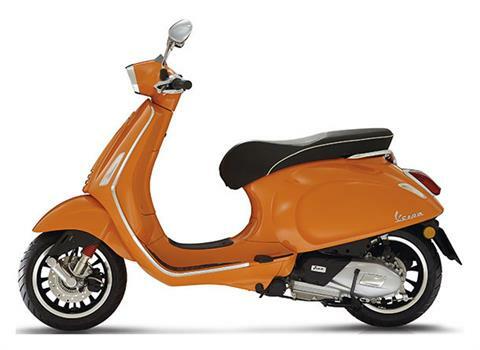 If your heart is “green” but you're looking for a sporty scooter with dazzling performance, your best bet is the Vespa Sprint. Its 50 cc 4T engine, the most powerful on the market in its category, boasts modern 4 valve distribution, delivering lively acceleration while still maining extremely low emission and consumption level. STYLE AND PLEASURE RIDE TOGETHER: Developed to combine the Vespa style with a sporty mood and thrilling riding, the Vespa Sprint offers solutions that will more than match your expectations. For example? Bigger wheels – 12 in. with redesigned rims - to guarantee enhanced riding pleasure and total control over the scooter. The Sprint offers newstyle developments too: the rectangular headlight cluster draws inspiration from the unforgettable Vespa Special of the ’60s, the saddle has been redesigned for improved comfort and comes passenger grab handles, the entire bodywork and finishings have been restyled and the rearview mirrors have beeen upgraded. GRIT AND CHARISMA, NOW AS THEN: In such a fast moving world, only strong personalities get noticed. The Sprint has inherited the charisma of the Vespa tradition, an icon of style and a symbol of Italian lifestyle, and given a contemporary twist to the distinctive design that made it a global success. 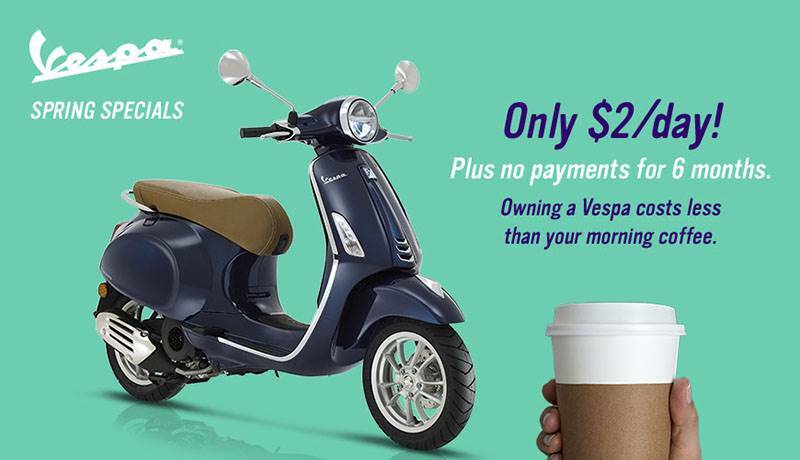 This is why the Sprint is the true heir to the legendary Vespa Special and the leader amongst “small body” scooters on today's market. With its flowing lines, smaller dimensions, and its mix of new solutions and details, the nimble and muscular Sprint makes quick work of city traffic. ALL YOU'LL EVER NEED, AND MORE: The Vespa Sprint will give you advanced technology, ensuring dynamic and safe riding in every situation: ESS front suspension, front disc brake and a new rear drum brake, a new analog and digital instrumentation panel, and LED side lights and brakelight. As well as a priority focus on comfort, with a roomier underseat compartment - big enough for a helmet - and more space for driver and passenger. Even further, noise and vibrations have been widely reduced by the modern engines and the rigidity of the steel body.